Pros: Has worked amazingly for several years now. Absolutely no complaints! Other Thoughts: I have two of these set up on my desk, and both have been working perfectly without incident. I bought one to make sure it worked and that two would fit, then bought the second a few weeks later, so I guess I would recommend. That said, the 1/2" margin means they show obviously separate screens, but I wasn't looking for one continuous picture. I do play some games, but I really just needed more work space. For a basic monitor that does the job and looks good, the price is hard to beat. Pros: This display is a balance between price and quality. 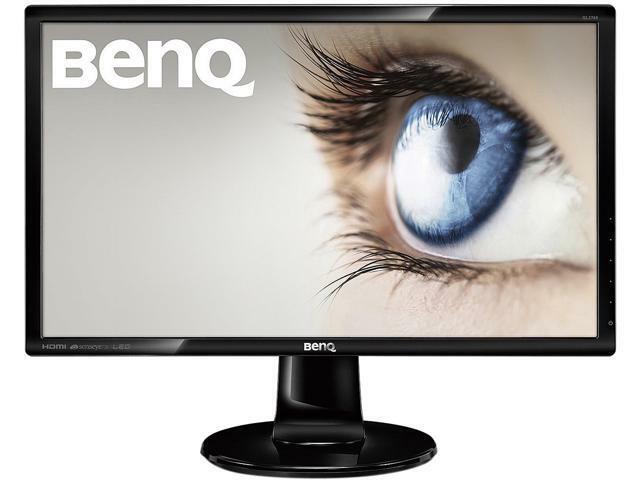 Its ideal for basic office use, reading, casual gaming and watching movies. Blue light settings are helpful to adjust eye strain. Cons: For the price point, no complaints. I wouldn't use this for professional graphic design and other color output/accuracy related projects. For that please pick up an IPS panel display. This isn't a con as such, but its important to align your expectations. No Dead pixels even after almost 5 years. View angles aren't that bad actually. Typical TN Viewing angles, though this monitor fares better than some. Glossy finish on the cabinet. Dust and Fingerprint magnet ahoy. Other Thoughts: Can run at 75HZ if you get creative. The panel is rated for it. Pros: I have purchased and installed more than 40 of these screens for both office and shop floor locations. Other Thoughts: Other than cleaning the screens due to shop floor conditions in a machining environment they have worked great without any problems. Other Thoughts: Colors look nice (though I don't know how it'd hold up if you do video or image editing), image is clear, and it's pretty small for being a 24" display. After using almost daily for nearly two years, there are no dead pixels. The stand sometimes feels a little light though, bumping or nudging the desk even slightly results in the monitor shaking slightly. I had a roommate playing drums in the same room, and the vibration traveling through the floor and up the desk shook it enough to make it unusable while he was playing, which even though it's really a niche scenario, still makes my point; the stand could definitely be better. Some reviewers are unhappy with the speakers. I honestly have no clue how these speakers are because I use this display in a recording studio and they have literally never beenused. Other Thoughts: Bought this to mount in front of my treadmill. Works great, no dead pixels. Bought 2 of these, so I would recommend to anyone. Other Thoughts: low price with great colors, what is there not to love about it.